Valerie served Laurel School as Director of College Guidance for 8 years, advising families on college admission and financial aid. She was on the admission staff at Oberlin College for 8 years and Connecticut College for 2 years. She recruited high school students, evaluated admission applications, and advised college students on course/major selection and degree completion. 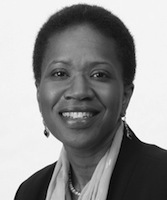 For over 5 years, Valerie was vice president of corporate philanthropy at KeyBank Foundation. She was responsible for evaluating hundreds of grant requests, primarily for programs at secondary schools and colleges. Valerie has a Bachelor’s degree from Northwestern University and a Master’s from Case Western Reserve University. Valerie knows that many families face higher education choices for the first time or after decades of change. Many face those choices with children whose needs exceed available services or in families where available time is severely limited. She has read thousands of applications as a professional in college admission, counseled hundreds of students, and visited high schools and colleges across the United States and in Canada. She enjoys the courage, candor, and curiosity of adolescents. She understands their stages of development and many of the challenges they face in advancing toward adulthood. Her son is a graduate of The College of Wooster. He is a college basketball coach. Valerie is an athlete who has competed in triathlons.